Universal Orlando is wrapping up summer, and getting ready for the biggest time of year. Of course we mean Halloween! 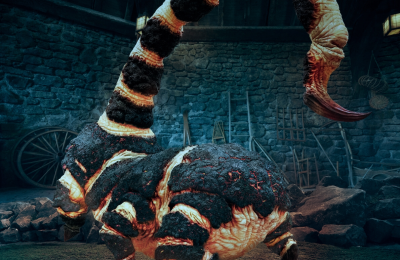 It’s one of the most anticipated, and most celebrated times of the year at Universal Studios Florida, and with August winding down, Halloween Horror Nights is right around the corner. In fact, the event is less than 30 days away! 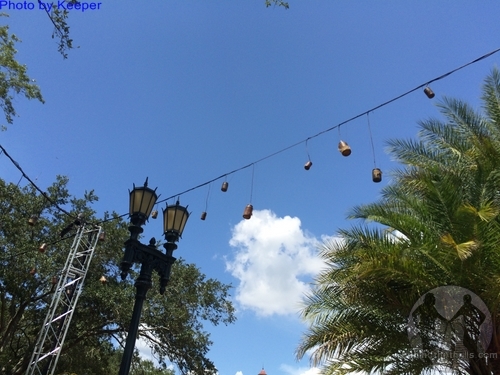 Elsewhere in the park, remodeling begins on a few stores, and we look at a rumor that could be happening in just a few days. At Islands of Adventure, Kong is continuing to look fierce! 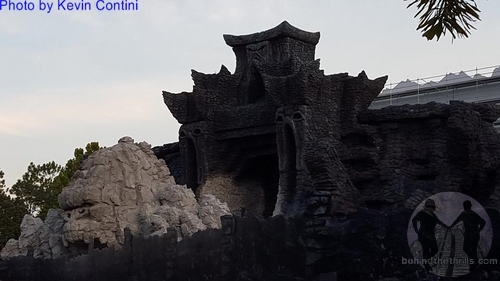 The rockwork and outer structure are looking better than ever on Skull Island. 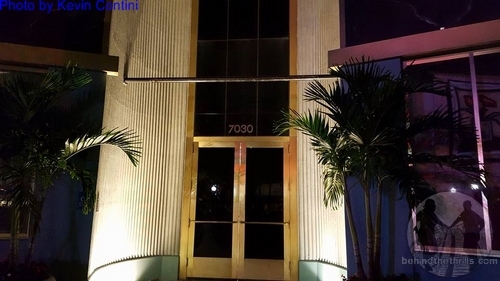 Unfortunately, minor details are what we have to look at, as the building looks to be 100% done. 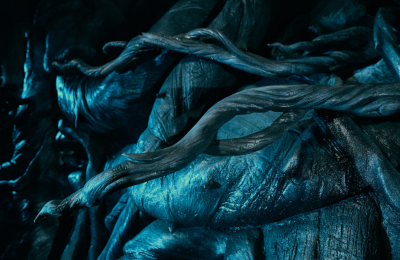 We can’t wait to see what wonders await us inside. 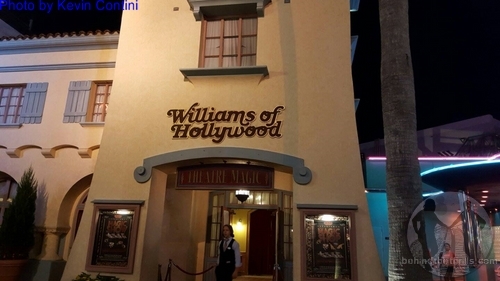 At Universal Studios Florida, we’ve been told that the “Theatre Magic” store, located in the “Williams of Hollywood” building, right next to Mel’s would be leaving for good at the end of August. Not a real surprise, since the owners recently pulled out of Islands of Adventure. Theatre Magic is said to be putting all of their resources into the huge complex at Old Town, in Kissimmee. 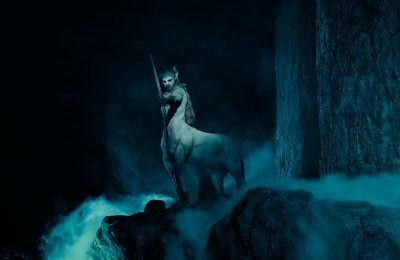 If you haven’t seen the show at Universal, it’s a fun little sales spiel, but better do it within the next week or it’s gone. The shell of Lucy: A Tribute has been stripped of all but a few of their signs. The windows are darkened, and all of the signs have been taken down. Even the little sticker on the wall has been removed. The store will be the home of Hello Kitty, coming in the next few months. While many seemed upset about the removal of Lucy, it was often desserted, and a great place to get away from the crowds. It was also a great place to buy Betty Boop Merchandise…where ever will you get that now? 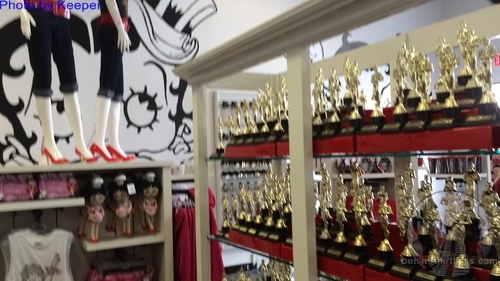 An all new Betty Boop Store has popped up right down the street from Mel’s Diner. 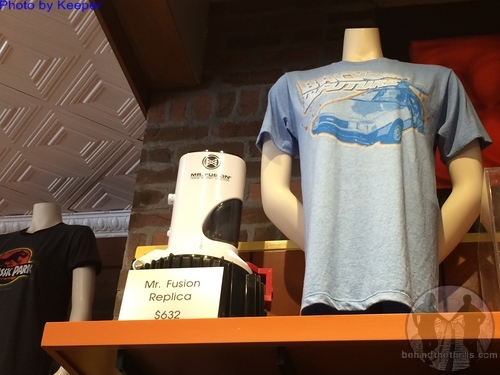 The new store takes over an empty spot that sold miscellaneous merchandise. 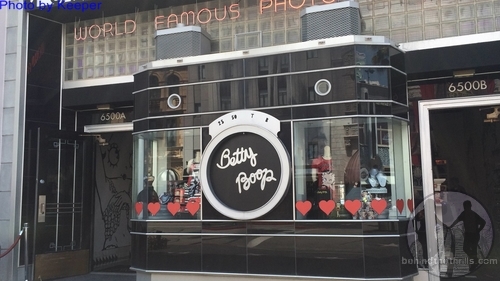 Betty herself can be seen booping around in front of the store with Lucy, and Marilyn Monroe characters periodically throughout the day. Of course, the real reason you’re here is Halloween Horror Nights. Yes, the park is rolling out tons of new props in the park. 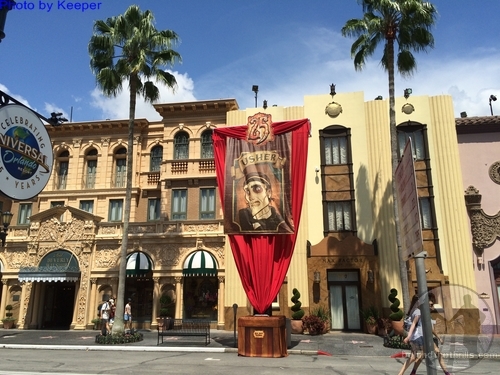 There are banners in the park, that will clearly be for a scare zone featuring the icons. The four big main old school icons are there, Director, Usher, Caretaker, and Storyteller. Jack will most likely not be involved, but we’re not sure yet. 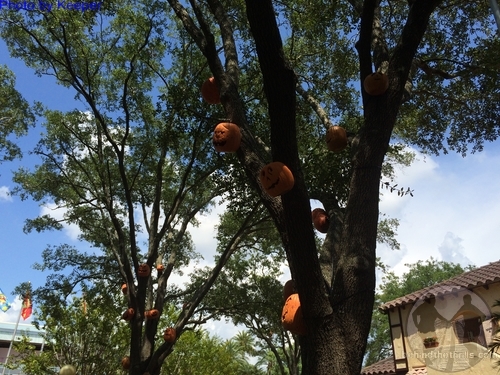 In the Central Park area, a favorite is returning, with Jack-O-Lanterns all over the place. Also returning are the super cool soul jars from the Voodoo themed scare zone last year. 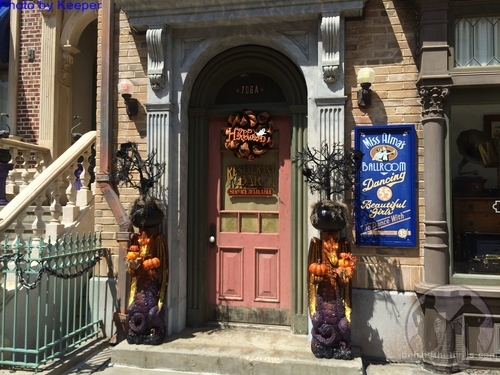 While we can’t be sure until the park releases details, it looks like we’re going to get a throwback scare zone, with many old Halloween traditions. Also, every single scare zone looks to have a small stage being set up, so we may see a lot of individual, random shows. Again, none of this is confirmed, but we’re just taking a guess, and judging from the little areas in each section of the park. 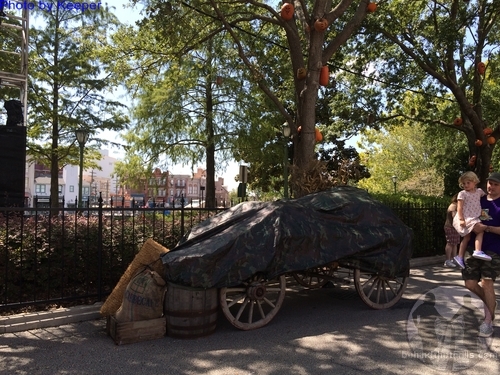 One cool Halloween tidbit, we’ve noticed tons of old school decorations in the New York section of the park. 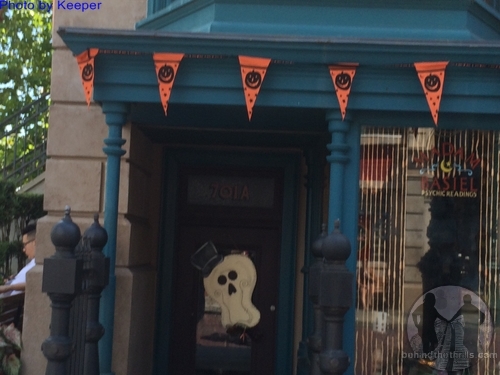 This area is full of apartment buildings and store fronts, which are now covered in old school Halloween decorations. Not sure it will play into the actual event, but it does give a sense of Halloween spirit. 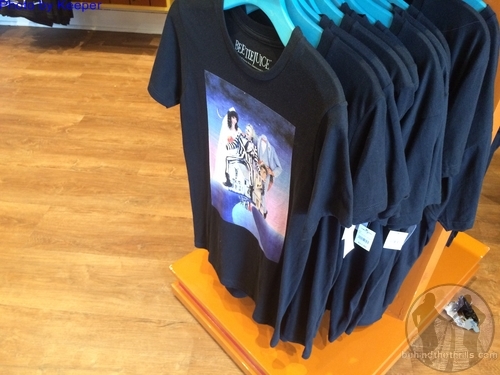 The Film Vault shop is rocking tons of Beetlejuice merchandise, and is getting prepared for the huge anniversary of Back to the Future, with tons of great shirts. 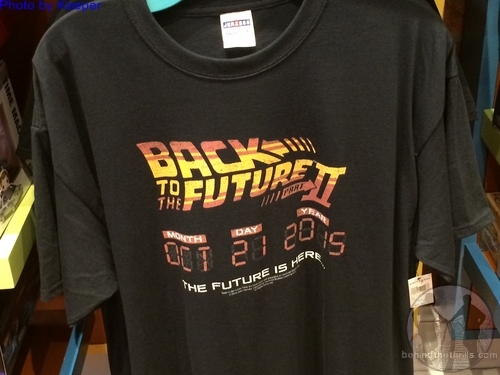 The store is also stocking great new high end replicas of the Flux Capacitor and Mr. Fusion.